First, I’ll like to thanks Head-Direct for the review sample. Also I’ll like to point out that this particular RE262 is part of the HifiMan HM602 bundle so it is from an early production. The final product will be the same, but with better printing and logo on the box. 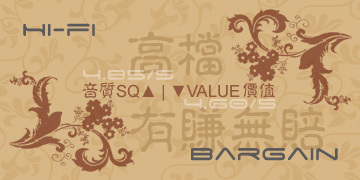 The final retail price of RE262 will be around US$250. As mentioned above, this is an early bundle so there is no printing or logo on the box. Though if you have read my review on the Re-252 or RE-ZERO before, I think you can imagine what it will look like at the end. Accessories wise, it is quite typical of HifiMan IEM – there are three pairs of single flange eartips (S, M, L), a pair of big bi-flanges as well as a pair of small bi-flanges. There is also a shirt clip and some replacement filters. As always, the build quality is decent but not something that will take abuse. I know there are always complains about HifiMan’s IEM build quality because they don’t look like what their price tag suggested and often break in casual use (by casual use, I mean average users that warp the IEM around their player then put both either into their jean pocket or back pack). 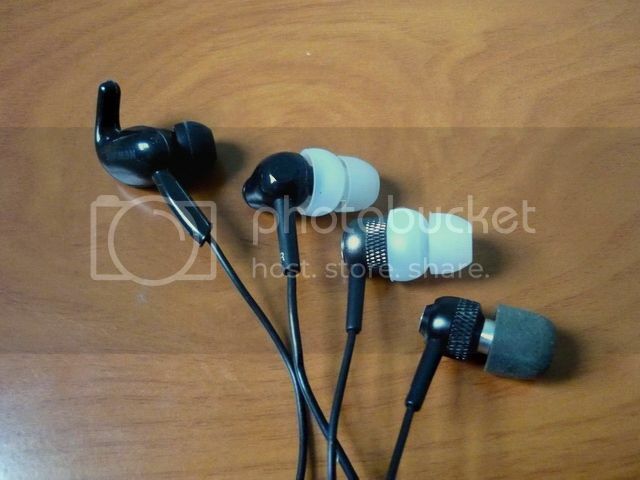 I do consider myself a careful user and I have been using some of my HifiMan’s IEM since they were first made, i.e. my 2 years old RE0 is still one of my reference IEM and see regular action. The truth is, regardless of whether it is Shure, UE or HifiMan, higher end IEM are not meant to be anything but good quality listening instrument. You would be wise to treat them like you would treat an antique violin made by master craftsman. If what you need is something that will survive rough situation, you will be better off with a decent $50 option. It will still break, but it won’t be as hard on the wallet. 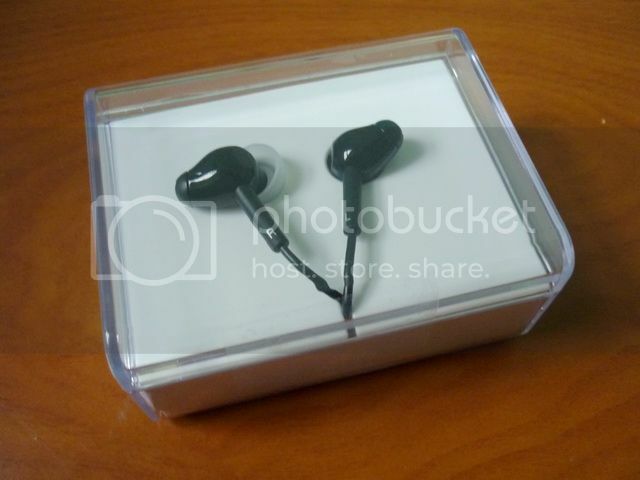 A few companies actual offer decent sport oriented earbuds and IEM these days, which are much sensible choice for gym use or high moisture environment. Now back to RE262: the cable used on the IEM is thicker than the older PPE cable on found RE252. 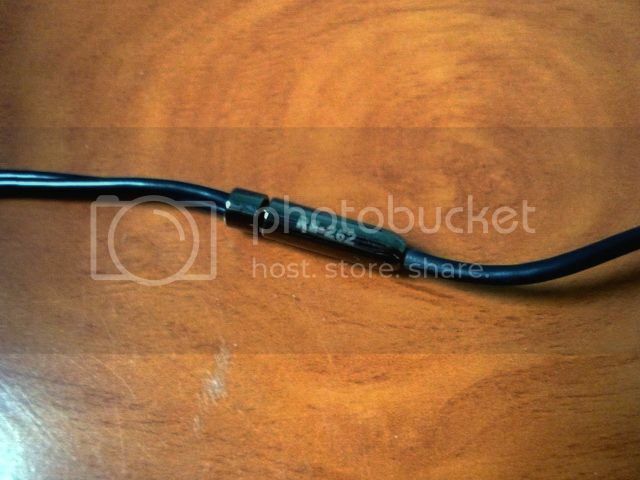 Thicker cable generally worsens the microphonics, which is also true in this case. But it is not actually bad enough to be a turn off. A shirt clip is included to reduce the problem, and I am still happy using the IEM without one. Thing about microphonics (as well as bone conduction) is that it takes time to get used to. At first you might find it annoying, but weeks later you can hardly notice it. In the case of RE262, I’ll say microphonics is about average. The reason to choose a thicker cable over the previous PPE cable is to increase durability, according to HifiMan. They have done bending test on the IEM for over twenty thousand times to be sure that the new IEM will have the strongest cable of all RE series. Memory effect is pretty low as well, so the cable doesn’t tangle much in storage. 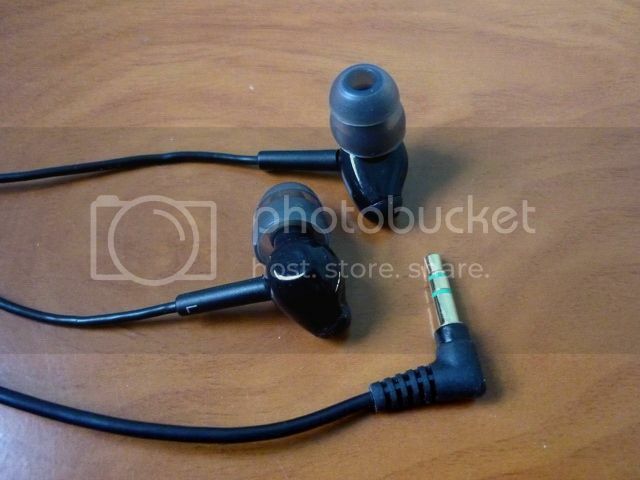 The shape of the earpiece is also not regular. It has a bump on the side to fit into the outer ear, though not as much as the locking silicone ‘horn’ on the RE252. Still, it will prevent you to wear it upside-down (over-the-ear) when using single flange. It is still possible to get it over the ear if you are using the bi-flange though. I use the small bi-flange (straight down) most of the time as it gives the best sound. Overall I don’t find any issue with the fit. On a side note, isolation is about average, so it is still decent for street use and general commuting but not for high noise area. The cable guide on the Y-splitter is actually easier to operate compared to on PPE cable, as the new cable, though thicker, is smoother on the surface and provides less friction. However, don’t expect it to glide effortlessly. One interesting note is the use of metal nozzle, probably to provide improvement on energy transfer (i.e. sharper treble). All in all, I am happy with the build quality, but I think HifiMan can use a bit more colors or even some fancy design in their future model. Before we begin the discussion on SQ, I think it is important to mention a few things. 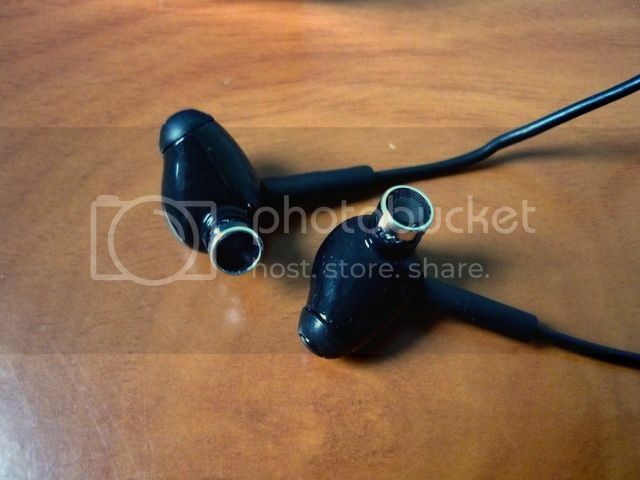 First, I generally give IEM a 50 hours or so burn-in before the review. It is not so much that I expect every one of them to improve or change in SQ, but more to be on the safe side - so all IEM will be reviewed as close to their full potential as possible. With RE262, I believe burn-in is pretty much mandatory. It really helps to reveal the treble, which is a bit too dim at first. In the case of RE262, I’ll suggest at least 40 hours on normal listening volume, followed by 10 hours of high volume (but be sure there is no distortion from the source). If you can, a solid 75 hours will be great. Of course, you can always listen to it casually - just don’t judge the sound on first listen. Second, there is a small mod you can do for a less warm, more balanced sound. It is not necessary a sonic upgrade, but more of a redistribution of energy to give a slightly different presentation of the same sound. For further detail, read the foam reposition in the next section. Back to topic, the overall sound signature of RE262 is warm, full, silky smooth yet articulated, full of texture and detail. It is a sound that is musical, yet still sufficiently technical. Bass runs deep to the 10Hz region and doesn’t have any strange bump anywhere. The quantity is not large by definition, but comes with good texture, body and decay. It showcases the quality and present of bass, and does not overwhelm other frequency range. Mid range is the sweet spot of the whole sound. It is dominant but not overly forward; it is sweet but not overly full; it is textured, good in timbre and well spaced, which in term makes the vocal sounds effortlessly real, as if you are right there with the singer(s). Treble is crispy and decently extended. Not quite as detail as RE0 or ER4S, but it is not lacking compared to most other non analytical IEM. It is half-step behind the mid but still able to function as a good supporting role to the overall presentation. Most importantly, though overly smooth and sibilant-free, it remains edgy enough so it won’t sound dark. Soundstage is very well done - not endlessly huge, but it is very spacious, immersive, well placed and fairly 3D, which is something rare in a mid dominating sound. At first, RE262 might appear to be an IEM that only do well in vocal, but it is surprising adaptive. Granted that it might be a bit too thick for very fast music, it is quite well for Classical and most instrumental music as well, especially since separation and placement are really good on the wide soundstage. One thing to note: RE262 will need a little more volume to sound at its best, so it is not a great choice for minimum-volume-listener. However, this doesn’t means you need to turn the volume to dangerous level. After all, it has 150 ohm impedance and slightly low sensitivity which do benefit from more volume and power – if you can amp it, do so. If not, it will still sing quite beautifully, just not at its best. For an example, 60%~70% on Sansa Fuze is enough to get RE262 pretty loud, but the bass is a bit sloppy where the bass notes don’t attack with full force and speed. If you ever use a RE0 before, it is the same kind of situation (though plenty of people are happy with RE0 without extra amping). First, it is Radius DDM – an IEM I regarded as fairly close to RE262 in how the music is presented: musical and full of texture. The different between the two is: DDM focuses on the bass, where mid plays the supporting role and treble falls just a little behind. Great enjoyment but just lacks the technical aspect to be a top tier; In contrast, RE262 focuses on the mid, where the treble and bass both help to accentuate instead of deduce. Second, it is Shure SE530, which is well regarded as the king of voice. Well, I think the king has been dethroned. In comparison, SE530 still has a more forwarded mid. But the mid of SE530 almost felt like congested after listening to RE262, like all the singers are singing with their face sticking to each other and into the same mic. RE262 is able to render the same group of singers with space, even better texture and without any hint of sibilant. Third, it is Ortofon e-Q7, another IEM that has a well regarded mid but with a more dynamic-transducer-like performance. In many ways e-Q7 doesn’t show much weakness in front of RE262. If there is a reason why I would pick RE262 over e-Q7 is perhaps that I feel the RE262 is more immersive and engaging, while e-Q7 is more technical and transparent. At the end, I think what sounds good is more important than what sounds right. Though one thing that e-Q7 has an advantage over RE262 is the volume. Where RE262 really need a minimum volume to sound good, e-Q7 is more capable of performing in low volume. In fact, I tend to prefer listening to e-Q7 just a tad low in volume. Last, it is Hifiman RE252, the company’s previous flagship. I think the major difference between the two is: while RE252 is trying to do-nothing-wrong, RE262 is trying to do-something-right. In another words, RE252 is technically strong but trying to have some musicality, while RE262 is musically beautiful but trying not to be technically lacking. Depends on what is more desired, the interpretation of what is right can be very from person to person. To me however, RE262 is just a sound too sweet to give up. Synergy wise, I do feel RE262 pair best with HifiMan HM801, even though it is part of HM602 early bundle. Don’t get me wrong that just because I don’t find RE262 having the best synergy with HM602, they will sound bad together. In this case, it is more about how much they accentuate each other rather than worsen the overall sound. Also, some might have felt the RE262 doesn’t sound quite as good as they have expected when they listened to the RE262 on HM602 at the first time – it is normal. As I have said, it takes time for RE262 to burn in and reveals the treble, so early on a user might feel that the whole sound is a bit on the dark or even veil side, but eventually it will get better in time. If you still don’t find the treble is enough for you, do try the foam reposition mod before dismissing the RE262 entirely. So what kind of source pair well with RE262? In my opinion, something clean, dynamic, and even digital sounding in some way, i.e. I have been using Cube C30 with RE262 when I need something more portable than HM801 and HM602. Though it is not quite as good as the two HifiMans, at least it has more juice than Fuze or Nano 4. The compactness of the foam inside the nozzle plays a crucial role on the final sound. On default, the way it is packed in is dense - good for bass but bad for treble. But if you remove it or repacked it too loosely, treble will shine but bass loses its texture. After several trials and errors, here is a way that I find to give the best balance between bass and treble. The good thing about this mod is that it is reversible. If the final sound is not to your liking, just repack the foam in a dense way. Note: You might want to take a good look at how the foam is packed when you take it out of the nozzle at the first time so it can be packed back in roughly the same way. As I have said early on, this mod is not necessary an upgrade in SQ, but more of a redistribution of energy to achieve a more desirable sound. So my recommendation is, do burn in your IEM first, then consider this mod if you are looking for something slightly different than the result of the burn-in process. Step 1. Remove the mesh filter and foam. Use a needle to carefully pick against the edge of the mesh filter (between the mesh filter and the nozzle body) should remove the filter without destroying it. The removed mesh filter will be reapplied later on. Use the needle to remove the foam as well. Step 2. Allow the foam to expend, then place it on top of the nozzle. Make sure they are aligned. Step 3. Use a pointy and slim object (but not pointy enough to penetrate the foam) and gently push the center of the foam into the nozzle. Step 4. Push the whole foam into the nozzle, but not too deep to fall into the housing. Step 5. Take the pointy object out and there should be a small hole left in the center as the foam compact around it. Repeat Step 1 to 5 to the other nozzle and listen to them both. Make sure there is no unbalance issue (swap side when listening also help). If unbalance is detected, repeat the process again till it is fixed. Step 6. Place the mesh filter back. The small hole should remain intact and visible. I can imagine some who read this review might have this thought in their mind: “Wow, $250 for that piece of black plastic?” I won’t blame anyone who thinks in that way. Yes, shiny housing, fancy package and amazing accessories are not part of HifiMan’s IEM – they never were, and probably not going to be in the near future. In a way, that is why it is an audiophile’s IEM. 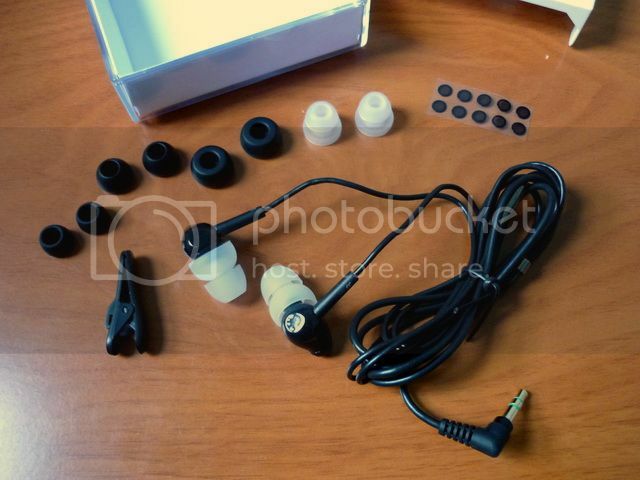 It is so ugly / expensive that only a person who genuinely cares about sound quality will buy – and if you are one who belongs to this group of people, yes, this is the IEM to have. It is the best of the RE series yet, and I have no problem recommending it to you if you are looking for a beautiful voice. This above rating is for HifiMan RE262 only and may change without notice. Please refer to the list for a complete listing.